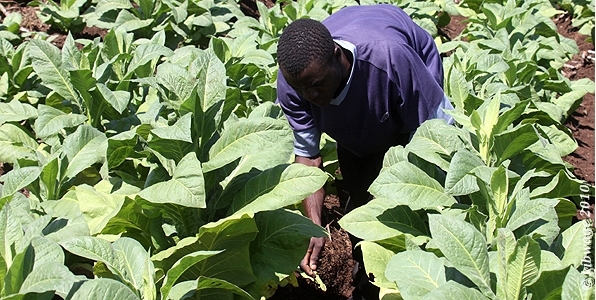 In Kenya, tobacco farming takes place in Western (Bungoma, Busia, Teso and Mount Elgon districts), Central (Kirinyaga, Muranga, and Thika districts) and Eastern (Meru, Kitui and Machakos districts) provinces). 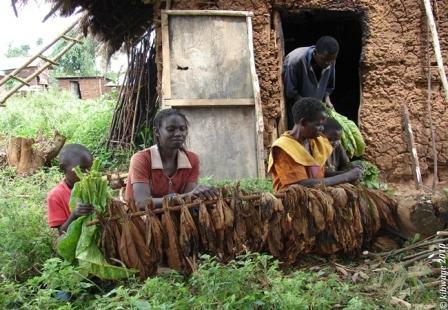 However, most of the 80% tobacco production is taking place in the Southern Nyanza region mainly in Migori, Kuria, Suba and Homa bay districts of Nyanza province. Through financial and technical support from the International Development Research Centre (IDRC-Canada), South Eastern University College (SEUCO) in collaboration with Maseno University, the International Network for Bamboo and Rattan (INBAR) and 240 smallholder tobacco farmers, is leading in undertaking action research aimed at alleviating poverty, promote human health and controlling environmental degradation in these districts (Migori,Homa Bay,Suba and Kuria). The Kenya Tobacco Control Research Group based at SEUCO and Maseno University, is currently involved in one of its largest research projects in the South Nyanza Region and other tobacco growing areas in Kenya focusing on Bamboo as an Alternative Crop and Livelihood Strategy to Smallholder Tobacco Farmers for the period 2006-2012. To examine the current and historical changes in household livelihood strategies used by tobacco farmers in comparison to non-tobacco farmers. 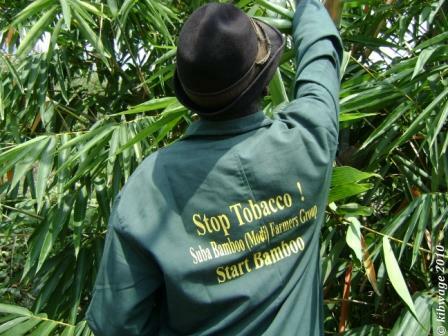 To experiment on the potential and people's attitudes of adapting Bamboo as an alternative crop and source of livelihood to tobacco farming in the region. To undertake an assessment of marketing dynamics as a feedback to investment in the bamboo industry in the region and Kenya at large. To develop community action plans to ensure a reduction of tobacco production in the region through livelihood diversification/ poverty alleviation strategies. To undertake a gendered assessment of agricultural products cooperative marketing systems in the Lake Victoria Region and identify best practices that should be replicated in the upcoming bamboo industry for former tobacco farmers. To study the household livelihood strategies used by tobacco and non-tobacco farmers in the other three (3) tobacco farming clusters in Kenya as compared to the South Nyanza region results obtained in Phase I in order to develop applicable national policy briefs. To establish and monitor bamboo propagation nurseries for seedling production and enterprise diversity in the South Nyanza Region. To carry out environmental auditing of tobacco farming activities in South Nyanza Region for purposes of evaluating their compliance level and policy formulation. Evaluation of the project to determine its impact on livelihoods of smallholder tobacco farmers. To build capacity of staff and farmers in tobacco control through alternative livelihoods. To develop and implement a communication strategy for the project in order to effectively disseminate the outputs of the project.